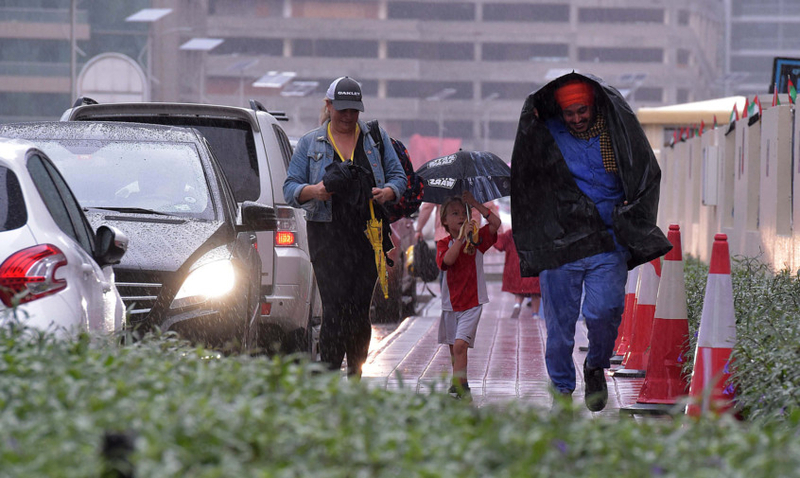 Dubai: Heavy rains that resulted in flight delays and traffic gridlock due to waterlogging made UAE residents’ commute to work and school a major challenge on Monday morning. 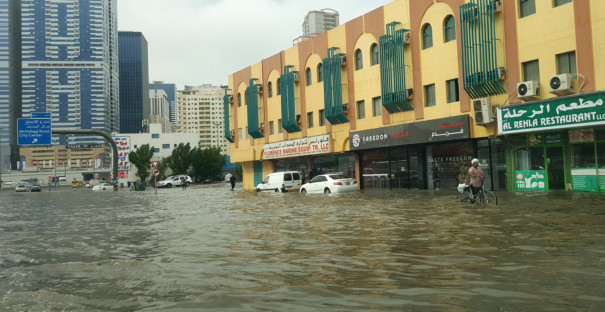 Motorists in Sharjah struggled to wade through flooded streets, bringing traffic to a halt in the Al Majaz area and nearby areas. Some residents had to walk in ankle-deep water. 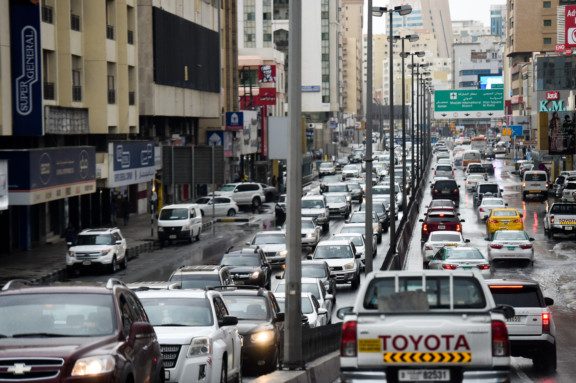 Sharjah Police said no major accidents occurred on Monday. Police deployed as many as 108 patrols on roads to regulate traffic and Municipality tankers worked non-stop to pump out water from the roads. 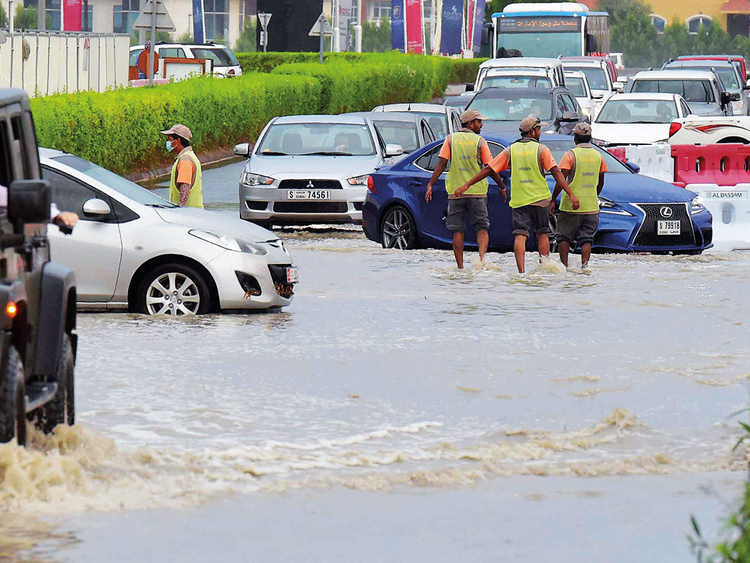 Pakistani motorist Zubair Haider, 39, was stuck for an hour on the Third Industrial Street near Al Shahba area in Sharjah because a section of the busy road was flooded. “People on the other side of the road were saying they turned back after being stuck for more than an hour. ‘It’s no use, just go back home’, they said. So I took a right into a byroad and after some more turns and driving through pools, managed to reach close to my home. 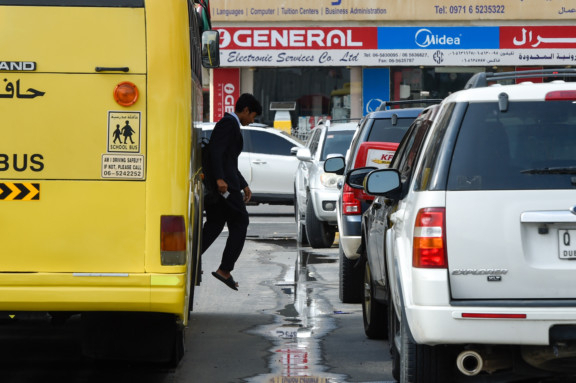 I parked and walked home,” said Haider, who works in Dubai. 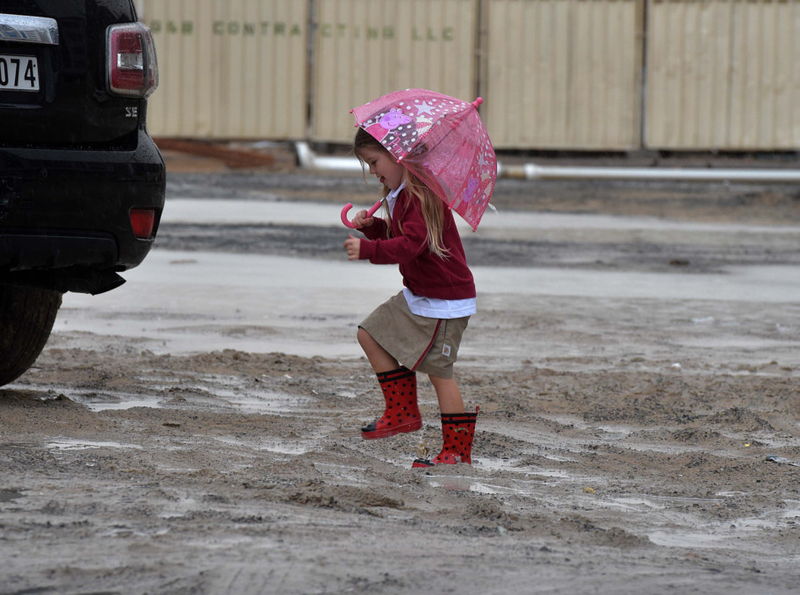 Many schools suspended classes and advised parents not to send their kids to school due to adverse weather. Examinations and assessments would be rescheduled at a later date, a school notice read. Sharjah University also closed doors due to heavy rain. Some schools, however, failed to alert parents ahead of time. A Pakistani father said his children were in the school bus for almost five hours, from 6.15am when they were picked up to around 10.45am when they were dropped home. “The school decided to send the children home but this was after the children had already been picked up. But the traffic was horrible on the way back. 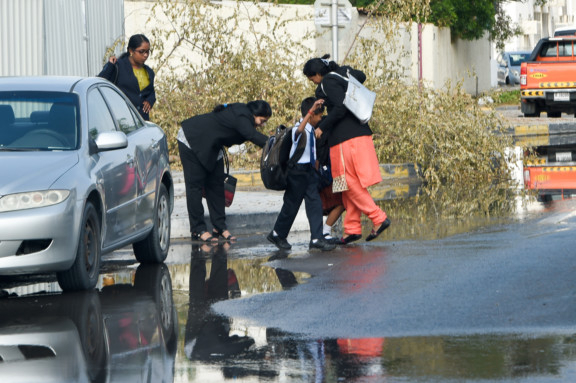 The school should have let the children spend some time at the school first until traffic subsided and then sent them home early,” the father said. In Ras Al Khaimah, police closed Wadi Ghaleila Road due to flash floods from the Jais Mountain that received 41.2mm of rain. 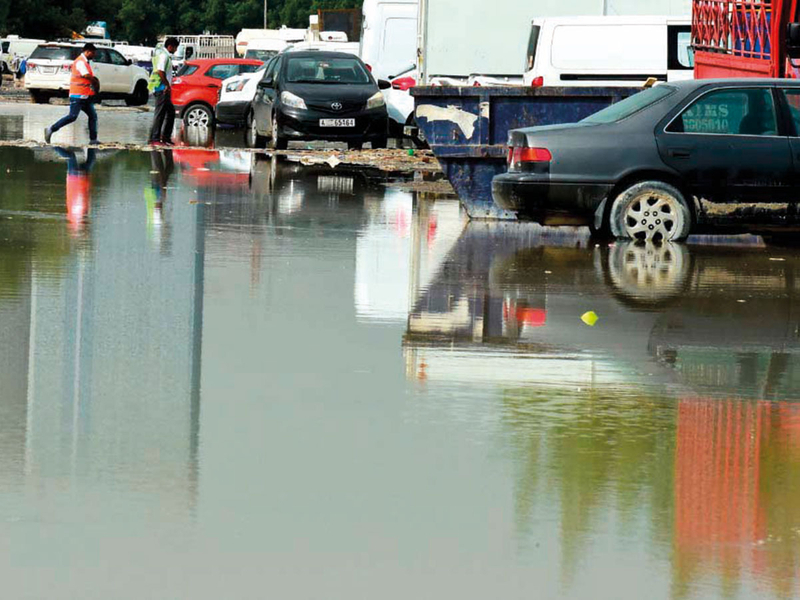 The highest recorded rainfall was in Umm Al Quwain that got 55.4mm, followed by Wadi Shaheh at 55mm. 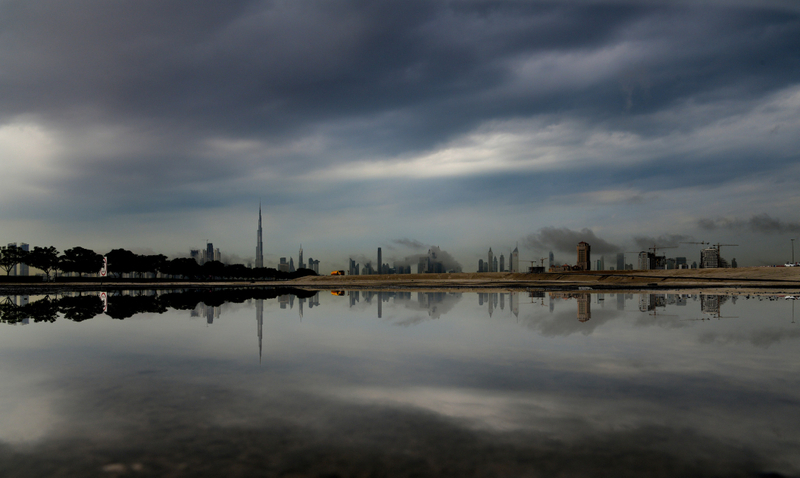 In Dubai, the Jumeirah area got the most rain with 32.8mm while the Burj Khalifa weather station recorded 13.2mm. 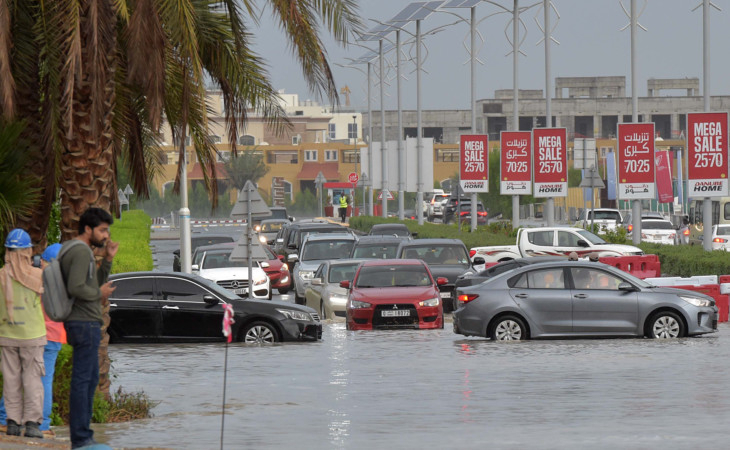 Waterlogging and blockages due to rain on all major roads in Dubai were cleared by midday, a top official said on Monday. 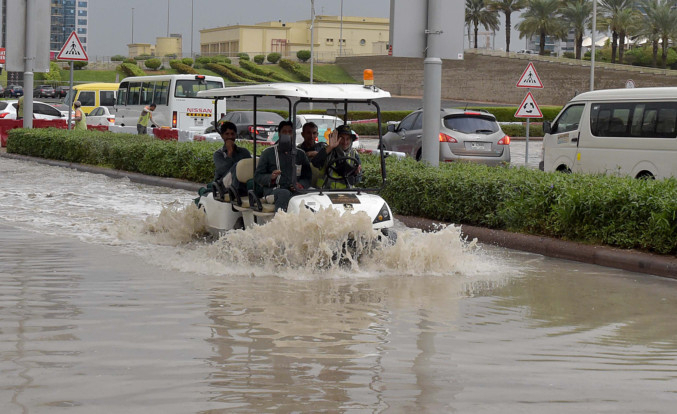 Taleb Julfar, CEO of Dubai Municipality for Infrastructure Services Sector, said different teams under the civic body had been out in the field to tackle rain-related incidents since Sunday. About 1,000 labourers and 500 technicians have been working overtime and in three shifts, he told Gulf News. Due to adverse weather, some Emirates flights into and out of Dubai have been delayed as well, a spokesperson said. 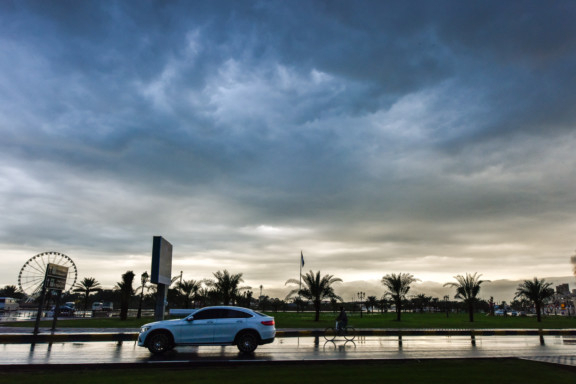 Meanwhile, the skies will clear on Tuesday although there will be a chance of rainfall over the islands, western coastal areas, Sharjah and northwards. The rest of the country will be partly cloudy in general. 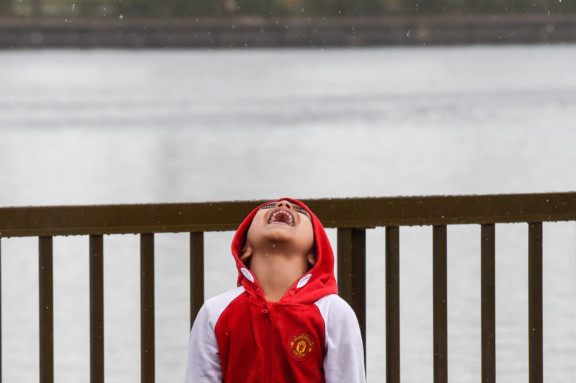 Bring your jackets on Wednesday as a cold snap brought about by the northwesterly wind is expected with the mercury dipping to an average minimum 15 degrees C in Dubai from 21 degrees C the day before. Across the country, the average minimum temperature will be below 20 degrees C, with Sharjah getting 14 degrees C and Fujairah at 17 degrees C.
Maximum temperature will range between 22 and 26 degrees C.
Wednesday and Thursday evening, however, will be humid with fog or mist expected to form on Thursday morning.